Hey guys! Long time, no talk...my schedule cleared way up and now I'm back and totally inspired. The first day of spring was last week and the weather has been absolutely stunning here! Anyways, I did this post back in the fall and thought it was the best way to wrap up/start the season, I decided to do one for spring! For a while in highschool this was my go to scent and I kind of took the backburner for a while when I discovered Wonderstruck by Taylor Swift, but once I ran out of that my love was rekindled and I gotten quite a few people hooked! If you haven't smelt it, I really recommend. Try it here! I'm a longtime fan, but lately I cannot get enough. It sparked because of my favorite jeans from That's So Gold (she came out with the shorts version and they're so cute, you can use the code Hannah for 10% off!) and now I want everything ripped up. These are the jeans I'm wearing! Over the past few years, I kinda hopped off the wedge train. 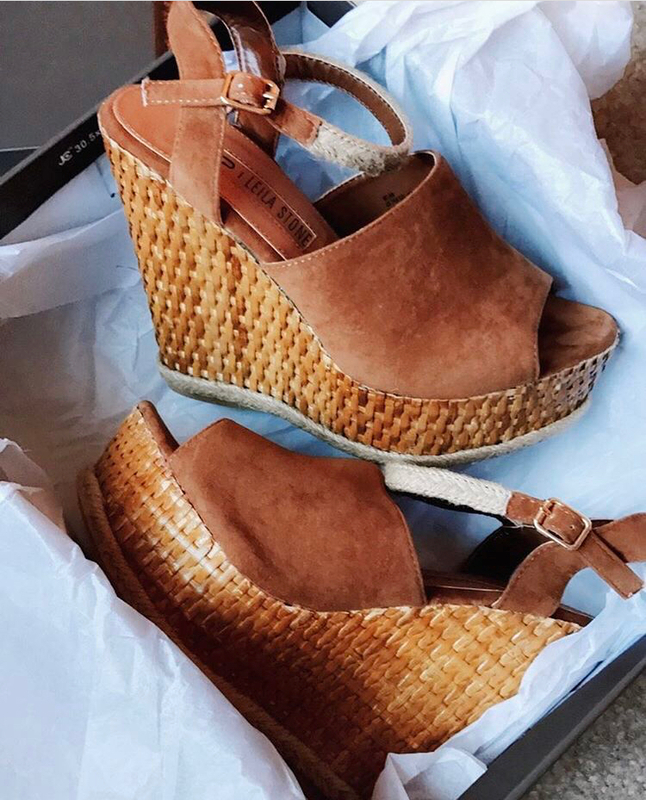 I'm not sure why, I was just much more inclined to grab heels, but I cannot wait to pair wedges with everything this season. If y'all know me, you know I love the darker fuschias and reds for my lips but lately I haven't been able to get enough of the lighter pinks, especially this one...it's the creamiest.